Void Acoustic has been working for 17 years, now. During this time it has been able to draw attention to its products, which have become a leading brand in the field of sound reinforcement. Innovative design choices, high level performances, attention to detail, and its instantly and recognisable design are the main features making the English firm a strongly evolving reality all over the world in different fields of sound reinforcement. Indeed, the brand is reaching new and challenging goals relating to fixed-site installations and live performances, and it is supported by a constant effort in developing new technologies and new products. Frenexport is the Italian distributor of Void Acoustics products, and, at the end of last year, during the testing of a Void system at the Frenexport headquarters in Porto Recanati, we had the chance to have a brief conversation with Mike Newman, Senior Sales Manager at Void Acoustics. The system they were testing was structured on a series of Arcline 8 line array units arranged with some Stasys X V2 subwoofers. This ensemble can be easily adjusted according to its use, it is able to guarantee high level performances both when it comes to live shows and festivals and dancefloor-oriented occurrences. Indeed, during the test stage, they tried out many where played and varied music genres experimenting all the possible sound pressure levels. From the more refined acoustic jazz to techno, going through trip hope and also classic music. The Arcline 8 showed that they can safely and easily manage the entire range of frequencies and the smallest dynamic expressions, playing at low volume, and unleashing also a huge sound power level which is essential to feed the energy of parties and bigger festivals, always providing a clear and dynamic sound. Q: Good morning, Mr. Newman. What’s the direction Void is following at the moment? A. The path we are following is always the same: we want to give new life to the research and development of new products, style and innovative design that are the main features of our systems. Yet, we want them to be the mirror reflecting the core of our production, quality without boundaries and deep attention to detail and client needs. 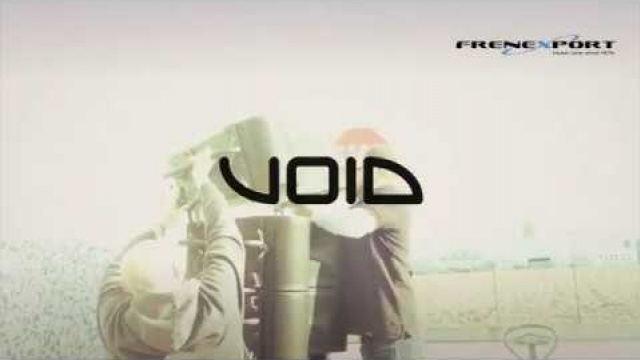 Q: By now, Void is one of the most valuable brand on a global scale concerning club installations. What do you expect in the future? Do you see your business as mainly focused on this field or do you plan to strengthen further your presence in the world of live music and big tour as you are already doing? A. The answer is in your ears. As you can see, considering our new products, for example the Arcline 8 line array, all our efforts extend to create high quality adaptable solutions that can be widely used, and able to support different kind of requirements concerning professional sound in various circumstances. So, we can say that the future of Void lies on the reinforcement of the activities concerning the installations. It goes together with a wide development of solutions and systems, which are designed to be used during tours and live performances. Q: Speaking of the corporate philosophy characterizing your activity, what do you think it will be suitable to change in order to evolve? A: Honestly, I think that we shouldn’t change anything about our philosophy and way of working that, over these years, has allowed us to achieved such results. As per usual, we will try to innovate our strategies to mainly obtain a result: the best quality for our clients keeping the style that has always marked our work. Considering the basis of its work and according to what we could hear thanks to the Arcline 8, we are sure that the future of Void will be full of achievements and confirmed success as it has been so far.